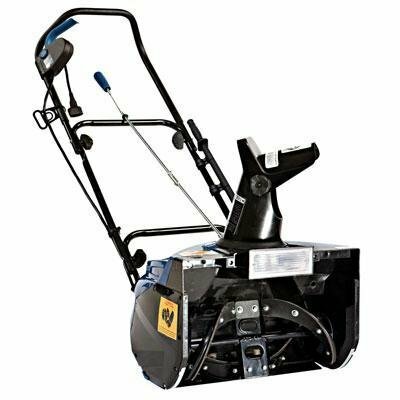 While electric snow blowers cannot rival the speed and power of their gas counterparts, they offer a convenient, relatively inexpensive and environmentally friendly way of dealing with light and less dense snowfall. 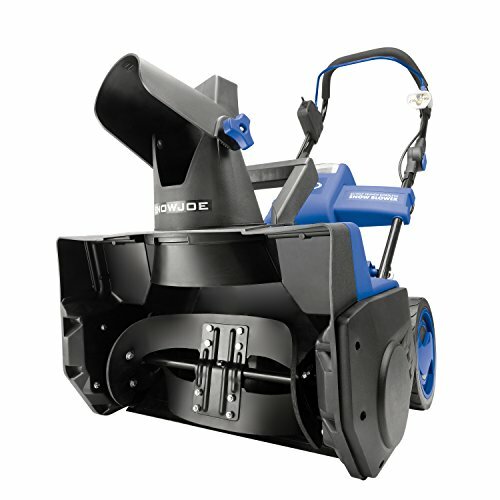 Electric snow blowers and the smaller snow shovels can cope with 6 to 8 inches of powder snow and up to 4 inches of dense snow, while being cheaper and requiring less maintenance than other types of snow blowers. 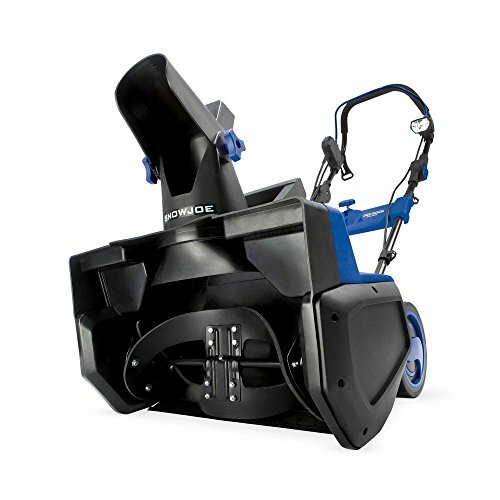 Electric snow blowers are usually single-stage snow blowers, and are suitable for clearing snow from driveways, decks, and walkways (while being ill-equipped for dealing with steep slopes). 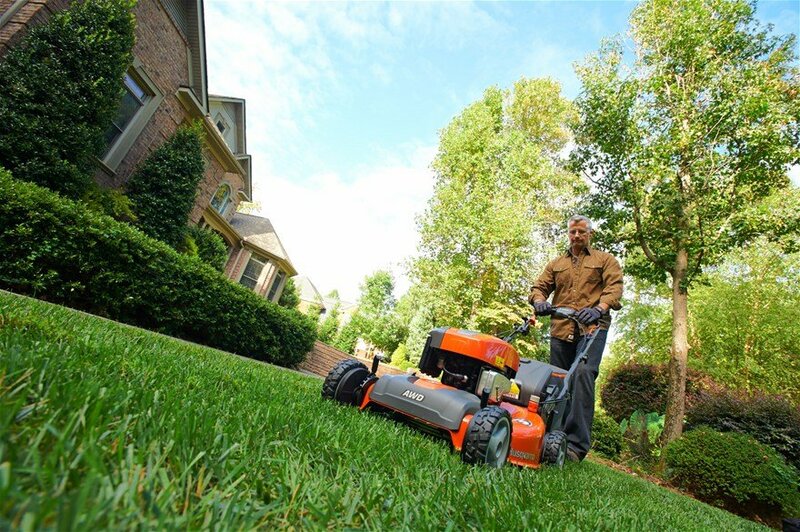 They are usually similar in size to a small lawnmower, and are relatively light, quiet and user friendly. They use a relatively simple technological process that involves a plastic auger pulling in the snow and throwing it out via the chute in a single step (do note that other objects – e.g. stones and gravel – may also be picked up and thrown with the snow, so it would be best to ensure that other humans and pets are not in the vicinity when you turn on your electric snow blower). While the electric motor removes the hassle of having to deal with fuel and engine maintenance, the power cord (for non-cordless electric blowers) can restrict your movements if you need to clear snow over a large area. 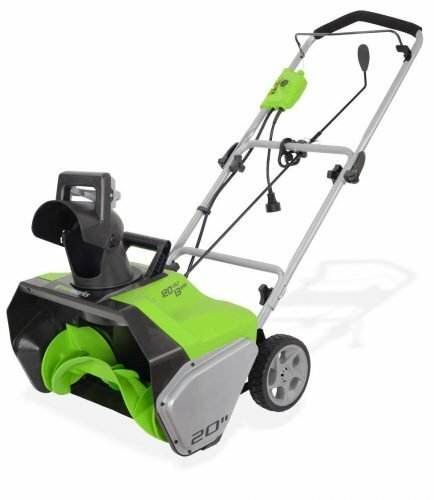 The GreenWorks snow thrower comes with a 13 amp motor that delivers powerful results without using gas as a source of energy. 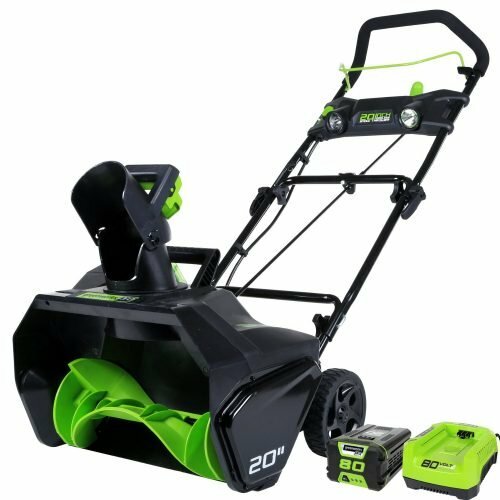 Its powerful electric motor allows for an instant start; you will be discharging up to 20 feet of snow in no time at all. Furthermore, the adjustable 180 degree directional chute helps reduce the effort needed to get all that snow out of the way. 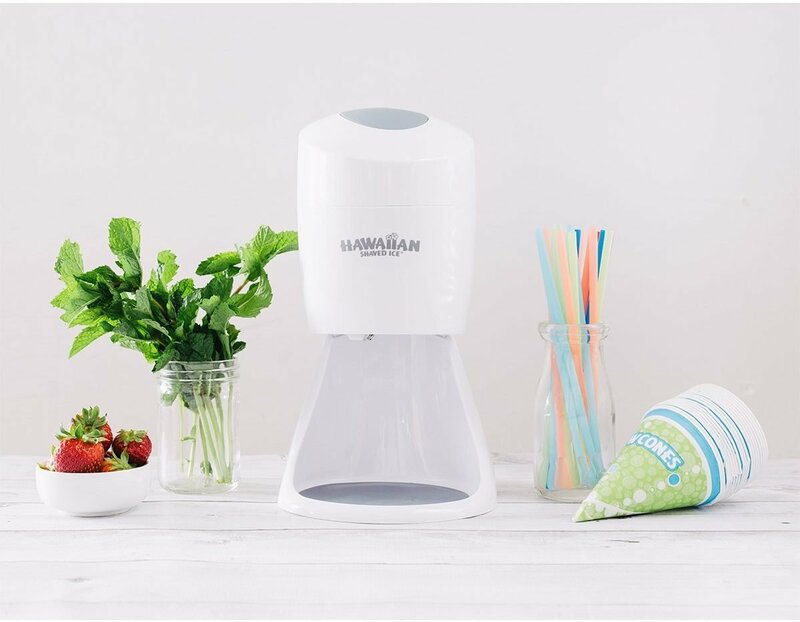 Its compact design (weighing only 30 pounds) and accompanying grab handle makes it easy to handle and transport; the durable handle can also be folded down for compact storage. 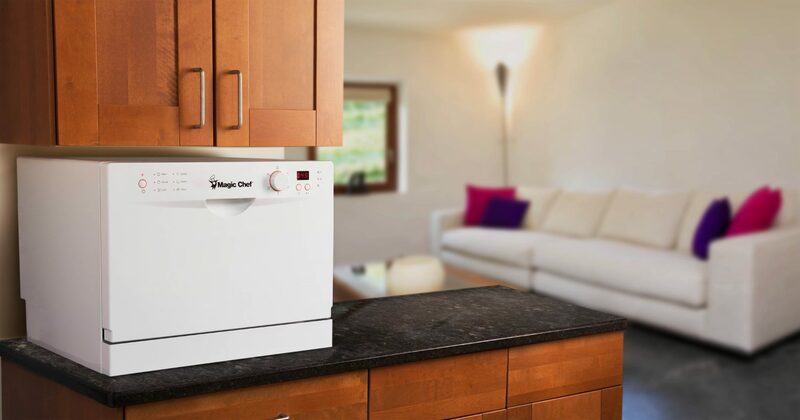 With the simple push of a button, the Snow Joe Ultra SJ623E delivers the powerful performance of a gas machine with the convenience of electric power. 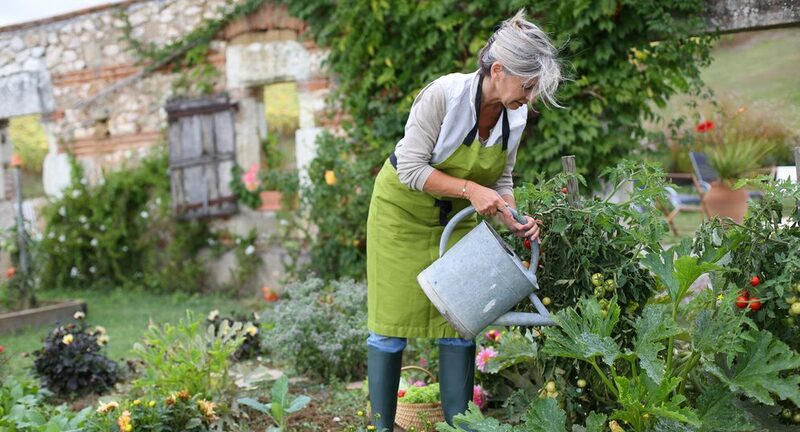 You will never have to worry about gas, oil, costly maintenance, and polluting the environment again. With its 15-amp motor, you can move up to 720 pounds of snow per minute. 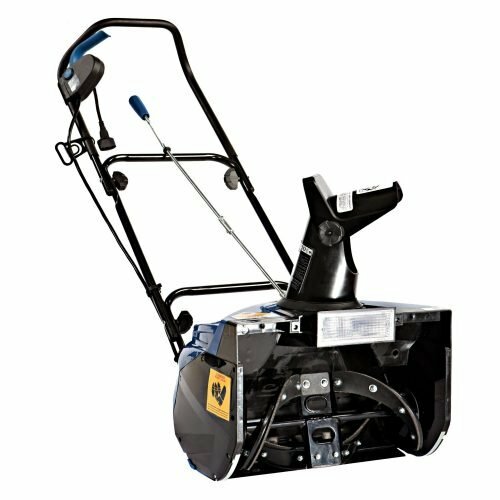 Its durable 4-blade rotor (which is constructed from heavy-grade steel) cuts a full 18 inch wide by 10 inch deep swath of snow with each pass. 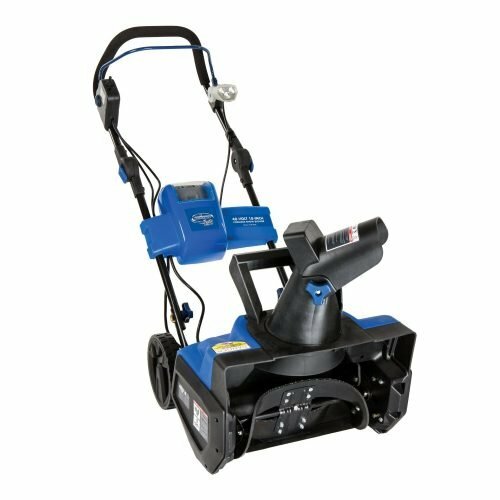 The easy-glide wheels allow you to turn and manoeuver the Snow Joe Ultra with ease, while being assured that the scraper blade at the base of the unit will efficiently scrape the snow clear to the ground without damaging your deck or pavement. The 180º adjustable discharge chute allows you to throws snow up to 25 feet away in the direction you want it to go, while the on-board chute clean-out tool will help you free up a clogged chute in the event of a snow jam. 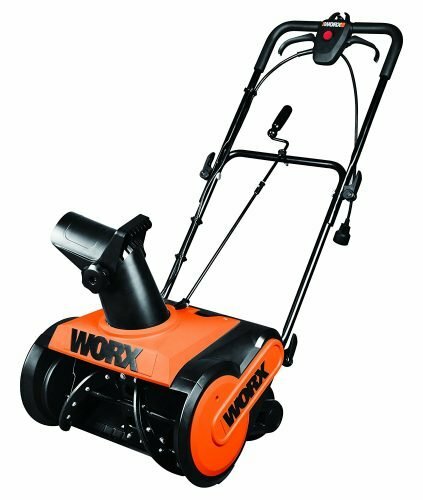 The WORX WG650 Electric Snow Thrower helps reduce the hassle from clearing off driveways, sidewalks, and patios. By virtue of its 13 amp electric motor, it can clear up a path that is up to 18 inches wide and 9 inches deep, throwing snow up to 30 feet from a 180-degree rotating chute. The three-position adjustable handlebar allows you choose the right height to work comfortably, while the oversized chute adjusters were designed for easy use with winter gloves. Once winter is over, you will find that the collapsible handlebar and lightweight design allows for efficient and compact storage. 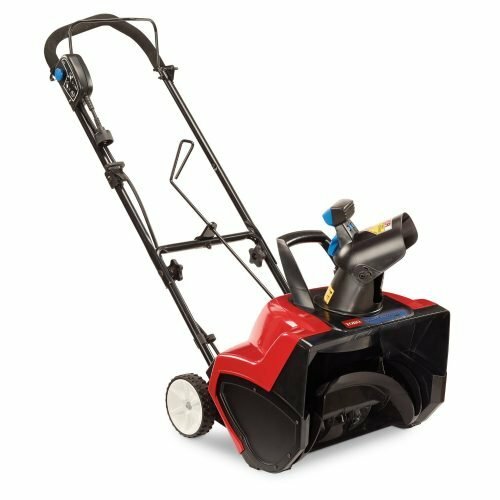 The Toro 1800 Power Electric Snow Blower was designed clear patios, decks, driveways and other residential areas of snow (up to 700 pounds of snow per minute, with an 18-inch clearance width and a 12-inch intake height), operating with the assistance of Power Curve technology which helps to eliminate clogging. 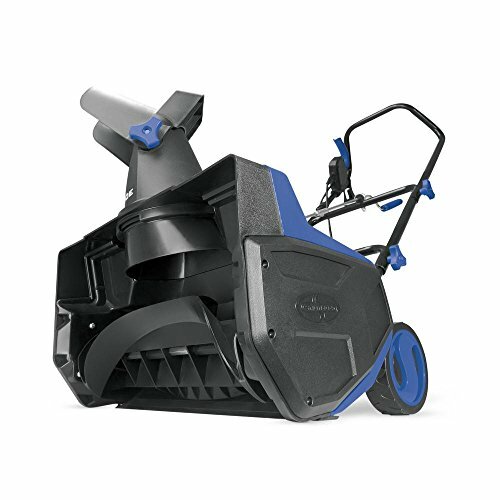 The snow blower’s zip deflector provides a choice between high, low and in-between snow throwing, while its 160-degree chute helps you direct the snow discharge (up to 30 feet away) in many directions. 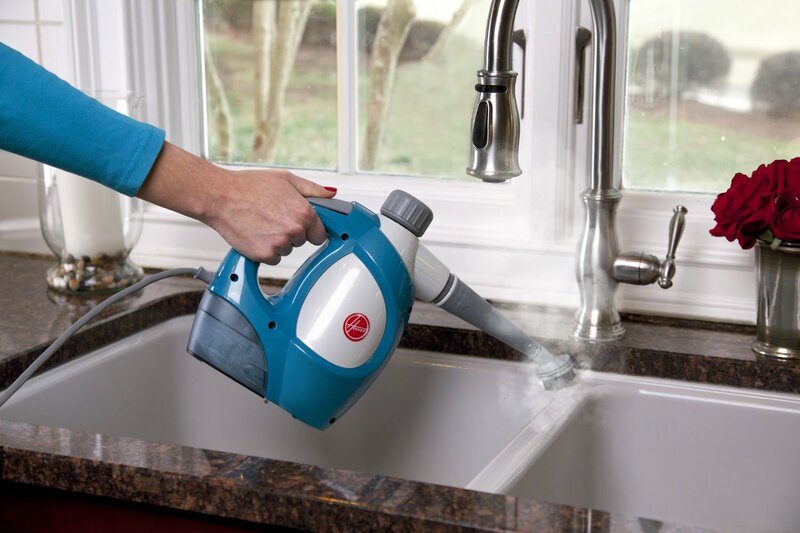 Meanwhile, the ergonomically-designed handle provides a comfortable grip during use. 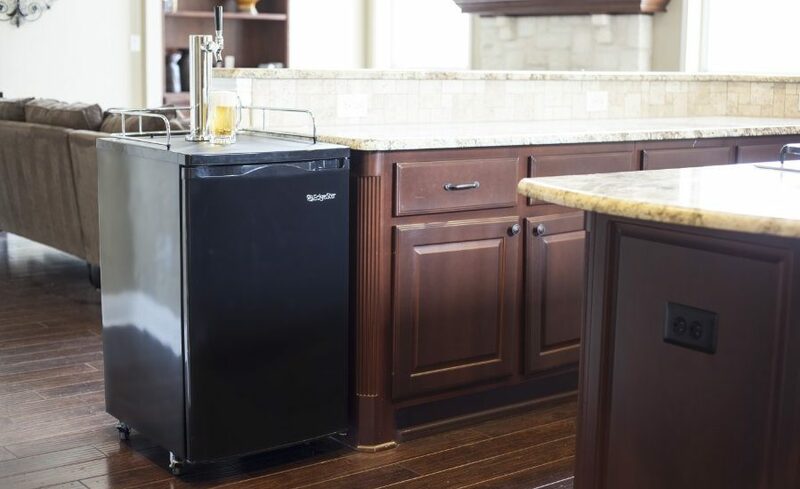 Weighing only 25 pounds, it can be easily maneuvered, transported and stored away when not in use (the handle folds away for more compact storage). 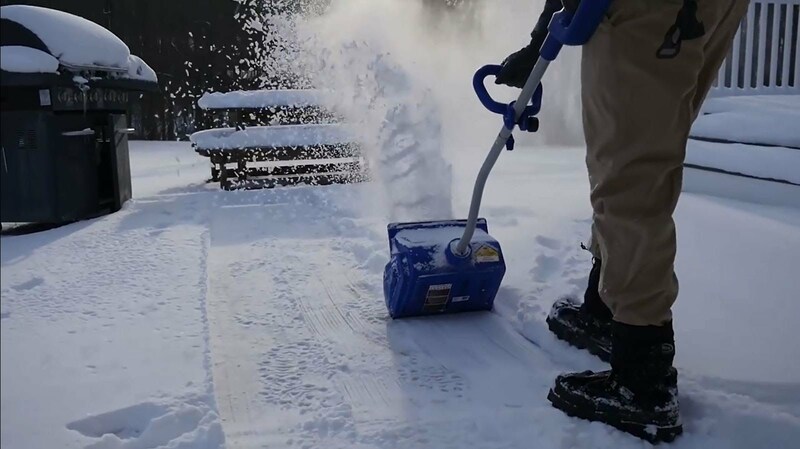 The Snow Joe iONallows you to clear snow from sidewalks, driveways and decks via a highly convenient cord-free operation. 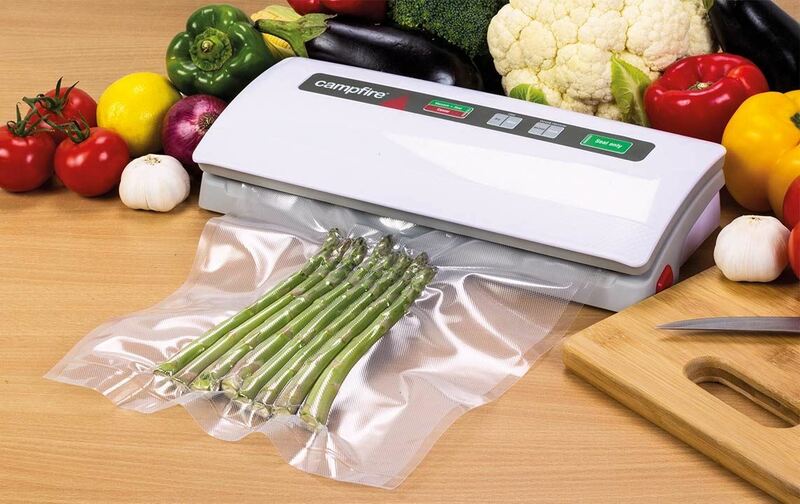 Weighing only 32 pounds, it is also highly portable and easy to manoeuver – especially when compared to heavier and clumsier gas machines that have the added hassle of pull-up cords, gas, oil, and tangled extension cords (and which also contribute unnecessary carbon emissions). Powered by EcoSharp technology, it runs on Snow Joe’s interchangeable 40 V 4.0 Ah rechargeable lithium-ion battery system, which allows it to deliver up to 50 minutes of whisper-quiet runtime with zero carbon emissions.It starts instantaneously with a simple push of a button, allowing you to move up to 500 pounds of snow per minute and clear a path of 18 inches in width and 8 inches in depth in no time. 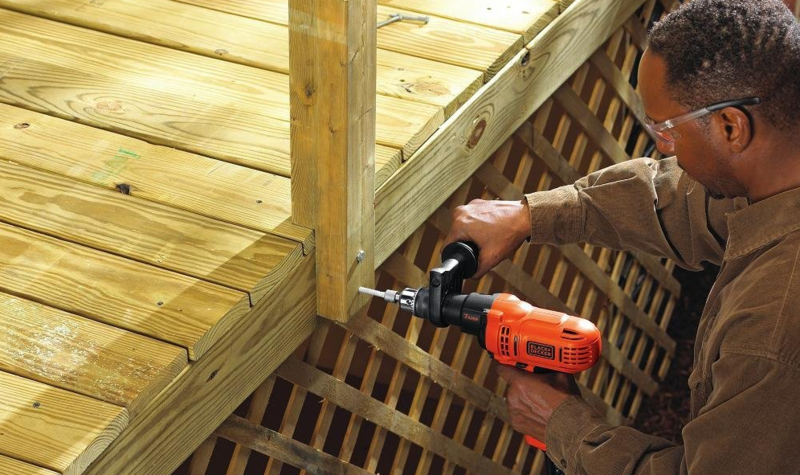 The heavy-duty steel auger and two rubber blades allow for durable power, while the scraper bar at the base of the unit lets you clear right to the ground without damaging your deck or pavement. It also features a 180° auto-rotate chute that rotates instantly with the push of a switch, directing the snow stream up to 20 feet away. 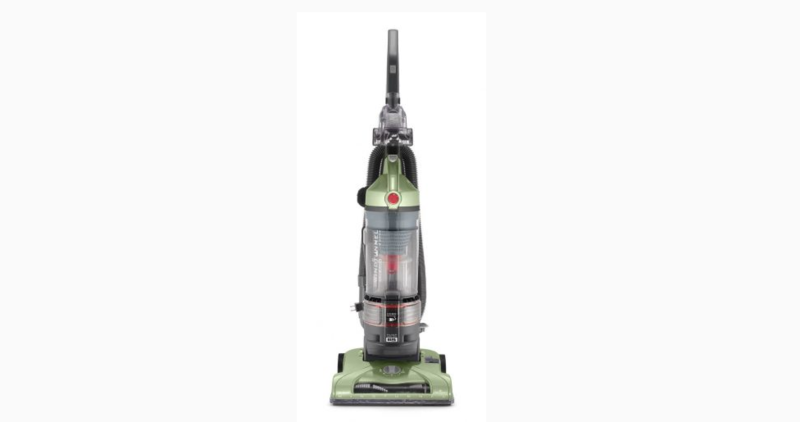 Its cordless dynamo is also engineered with a powerful 500 W brushless motor for increased battery efficiency, optimal motor performance and extended motor life. You can expect to rely on your trusty iON season after season – and the integrated LED headlight even allows you to use it at night! The GreenWorks Pro 80V delivers the same high-powered performance as its gas equivalents – at a greater and cleaner efficiency. Its 80V Li-ion system allows it to run for up to 45 minutes, after only half an hour of charging. 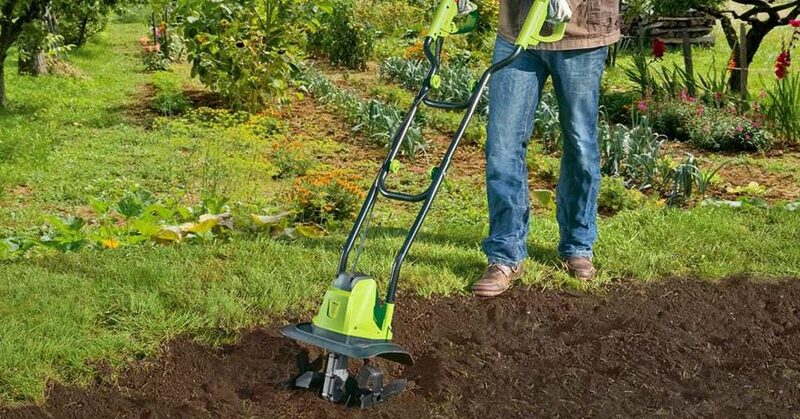 At the push of the start button, you can clear a 20 inch path via its quiet and maintenance-free brushless motor technology. The 180 degree rotating chute allows you to direct the snow to your desired placement, without issuing any carbon emissions. The dual LED lights allow you to work before sunrise or after sunset – a useful feature during the short winter days. 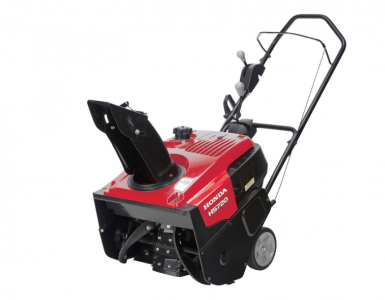 Which electric snow blower best suits your needs? Choose the right one for the job you have in mind, and you will be able to enjoy snow-free walkways and driveways next winter without spending too much time or energy (or by incurring the risk of injuring yourself). Very impressive list. I haven’t had a chance to use the WORX yet but have heard good things. The other rankings seem spot on. I really wish that Greenworks was 15 amp though. Would be the perfect electric unit at that price.